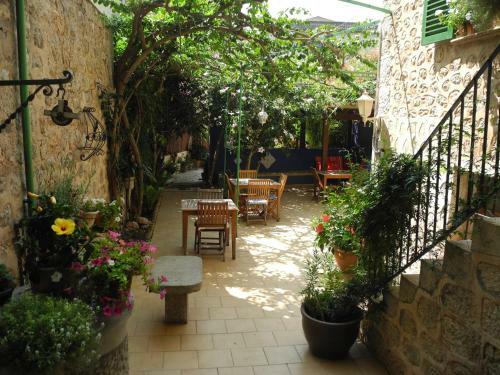 Casa Bougainvillea in Soller is a small-scale hotel with 9 Rooms. 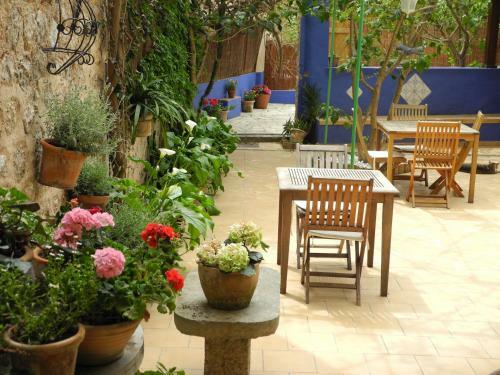 Casa Bougainvillea is a traditional townhouse in Soller, Majorca. Rooms are decorated in a Mediterranean-style and feature views of the Tramuntana Mountains. Free Wi-Fi is available throughout the property. Breakfast is served under a beautiful canopy of Bougainvillea, surrounded by plants and colourful pots. Guests can relax in the garden and the house operates an honesty bar service. The tour desk at the house can offer advice and useful information on Soller and the surrounding area. Bicycle ...rental can also be arranged. 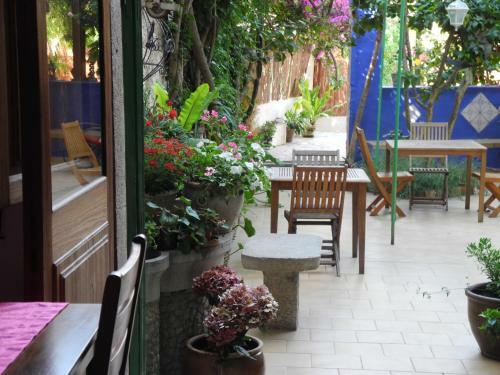 Bougainvillea House is situated just 3 minutes’ walk from the old town square in Soller. Here guests will find many restaurants and the Sant Bartomeu Church. 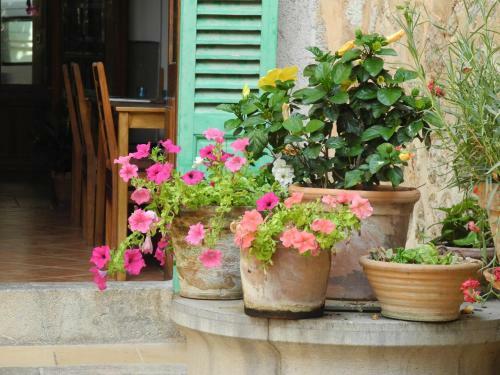 Casa Bougainvillea is a traditional townhouse in Soller, Majorca. Rooms are decorated in a Mediterranean-style and feature views of the Tramuntana Mou...ntains. Free Wi-Fi is available throughout the property. 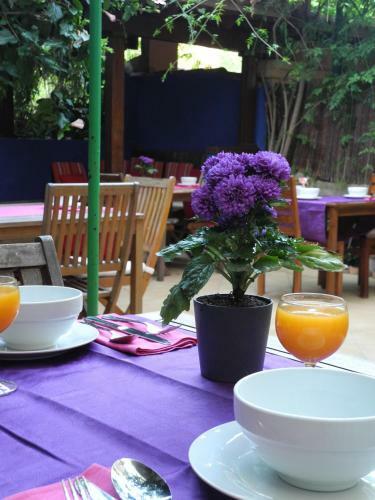 Breakfast is served under a beautiful canopy of Bougainvillea, surrounded by plants and colourful pots. Guests can relax in the garden and the house operates an honesty bar service. The tour desk at the house can offer advice and useful information on Soller and the surrounding area. Bicycle rental can also be arranged. 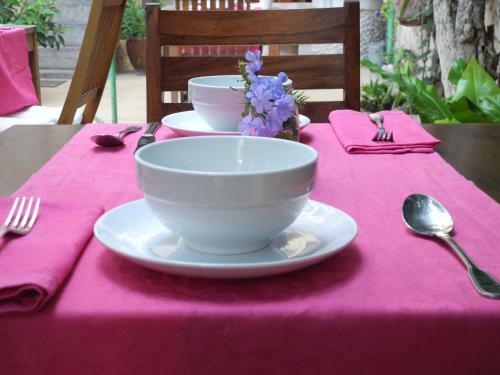 Bougainvillea House is situated just 3 minutes’ walk from the old town square in Soller. Here guests will find many restaurants and the Sant Bartomeu Church. 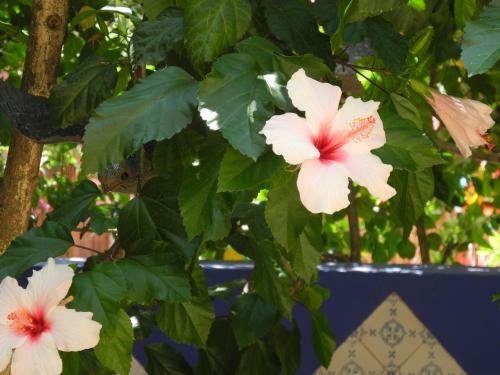 When would you like to stay at Casa Bougainvillea? Please inform Casa Bougainvillea in advance of your expected arrival time. You can use the Special Requests box when booking, or contact the property directly with the contact details provided in your confirmation. Guests are required to show a photo identification and credit card upon check-in. Please note that all Special Requests are subject to availability and additional charges may apply. Please let Casa Bougainvillea know your expected arrival time in advance. You can use the Special Requests box when booking or contact the property. Please provide a mobile number where you can be reached. Please note that guests arriving after 17:00 will be given a door code to access the property. American Express is not accepted as a method of payment.